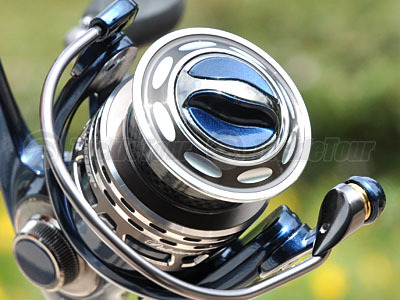 Introduction: The battle for even lighter spinning reels rages on and this ICAST Pflueger will be introducing new Patriarch and Supreme XT spinning reels, both of which are crafted from magnesium making these reels extremely lightweight. 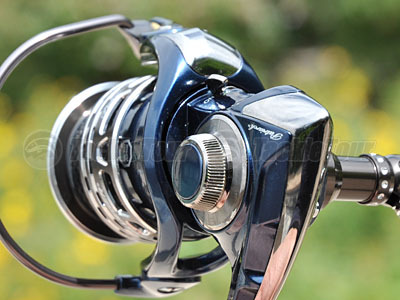 Patriarch Spinning: Those familiar with the varying series of reels offered by Pflueger no doubt know that the "Patriarch" series represents the company's higher end offerings, and like the casting model bearing the same name the new spinning reel is designed for anglers that are looking for a premium solution. The Pflueger Patriarch spinning reel is designed to be the lightest spinning reel in it's class and the 9525 ultralight model weighs just 5.6 ounces! Being lightweight is no accident. 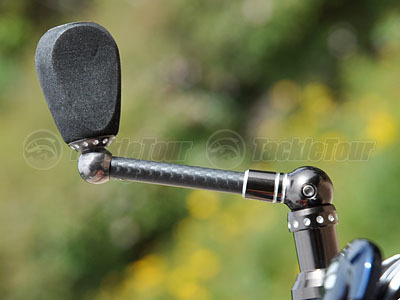 The body, rotor and sideplate are made from magnesium that is specially coated for both strength and durability. The main shaft is titanium, 43% lighter and 30% stronger than stainless steel. 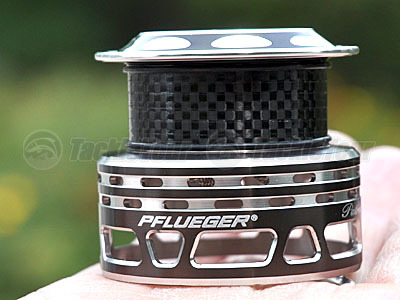 The double anodized aluminum spool with carbon arbor complements the weight reduction process. Further weight is shaved off by using a carbon handle with EVA knobs, a design that is 21% lighter than aluminum yet just as strong. Inside the reel makes use of XCR� (Extreme Corrosion Resistant) shielded bearings in key locations with up to 10 times greater corrosion resistance than standard stainless steel ball bearings. The sealed carbon drag system stops the intrusion of water and debris and is designed to provide smooth and consistent drag pressure at any setting. Additional features include nine stainless steel ball bearings, instant anti-reverse bearing and anti-twist titanium coated line roller. The solid aluminum bail wire is equipped with Sure-Click� providing an audible signal when bail is fully opened and ready to cast. The reel also comes with a neoprene reel bag for safe travels/storage and a spare second spool that's not equivalent to the first. Four sizes are offered each with a gear ratio of 5.2:1. The 9525 weighs 5.6 ounces and spools 24.5 inches of line per turn of the handle. The spool�s capacity is 110 yards of 4-pound test monofilament or 6-pound test braid. The 9530 weighs 6.3 ounces and spools 27 inches of line per turn. The spool�s capacity is 120 yards of 6-pound mono or 115 yards of 8-pound braid. The 9535 weighs 7.4 ounces spooling 28.8 inches of line per turn. The spool�s capacity is 140 yards of 8-pound mono or 150 yards of 10-pound braid. The 9540 weighs 8.1 ounces with 32.7 inches of line spooled per turn. The spool�s capacity is 170 yards of 10-pound mono or 160 yards of 14-pound braid. Just a quick hands on with this reel really impressed me. The reel is absolutely silky smooth. 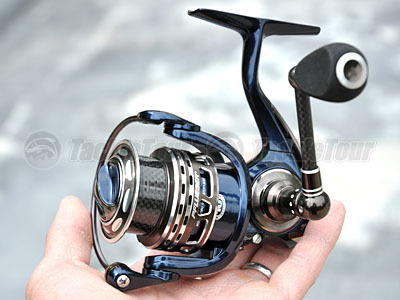 No wobbling is discernable and it seems like the reel is built to extremely tight specifications. But only a real field test will tell how well it truly performs. For those who can't wait for our review the Patriarch will be available September 2010 and will retail for $199.95, which is quite aggressive for a magnesium based reel. Supreme XT Spinning: While the Patriarch spinning is a brand new addition the Supreme XT also gets a complete makeover from the existing model. 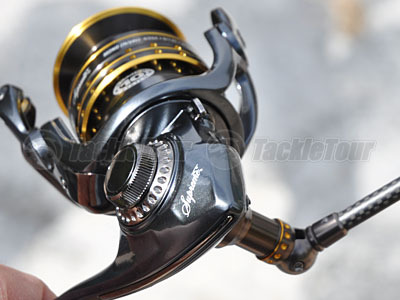 The new Supreme XT is made of magnesium unlike the previous version and the new look and feel of this reel is much more aggressive. 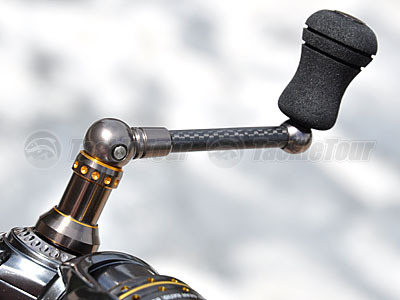 The Supreme XT also gets the carbon handle and EVA knob treatment just like the Patriarch. Just a few turns of the handle and it is obvious this reel is much smoother than it's predecessor. Of all the changes, anglers will appreciate the new spool most of all. Vertical rubber strips make the spool braid ready. No longer is a backing of monofilament needed to hold superlines in place on the spool. These strips keep the line from slipping while under pressure. 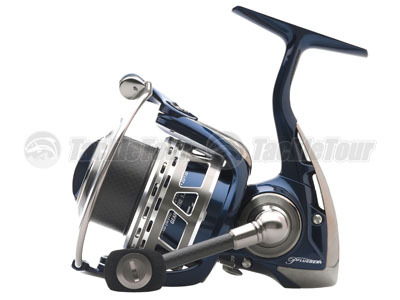 Other features included with this new reel are 9+1 stainless steel bearings, a sealed carbon fiber drag system, the Sure-Click bail, a large solid aluminum bail wire, and an anti-twist titanium coated line roller. Again, like the Patriarch spinning, the Supreme XT also comes with a neoprene reel bag. A spare spool does come with the reel but is not all tricked out like the primary spool. Four sizes are offered. 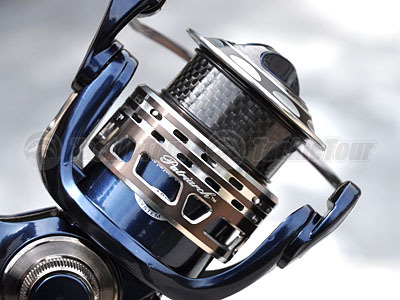 The 6.3-ounce Model 9225XT has a gear ratio of 5.2:1 and picks up 22.4 inches of line with each turn of the reel handle. The spool capacity of this reel is 110 yards of 4-pound test monofilament or 140 yards of 6-pound test braid. 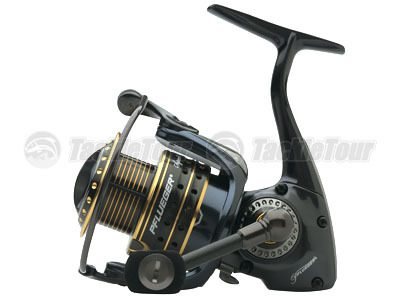 Model 9230XT weighs 7.2 ounces and has a gear ratio of 6.2:1 that retrieves 30.0 inches of line per handle turn. The spool capacity is 145 yards of 6-pound mono or 190 yards of 6-pound braid. the 9235XT weighs 8.6 ounces and line retrieval is 32.7 inches with the gear ratio of 6.2:1. 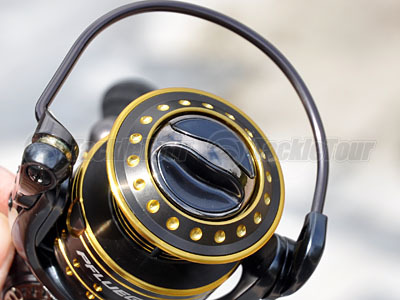 This reel holds 185 yards of 8-pound mono or 220 yards of 10-pound braid. 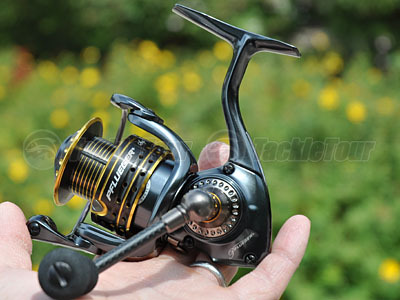 The 9.3-ounce Model 9240XT also has a gear ratio of 6.2:1 and picks up 35.1 inches of line. The spool capacity is 230 yards of 10-pound mono or 280 yards of 14-pound braid. Also available in September of this year, the new magnesium Supreme XT will sell for only $149.95, now that is aggressive! Conclusion: Simply put, these new bad boys from Pflueger are pretty sweet. 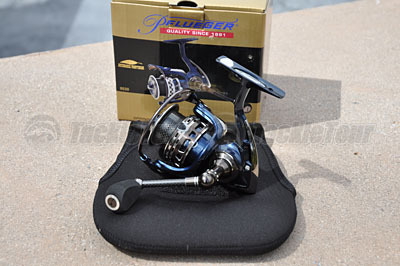 Constructed of Magnesium and featuring aggressive new profiles and styling reminiscent of JDM equivalent reels, the Patriarch and Supreme XT spinning reels are designed to be premium performers. Though they are loaded with all the bells and whistles and come bundled with extras like spare spools and protective bags these reels still are priced reasonably when you consider the use of magnesium. 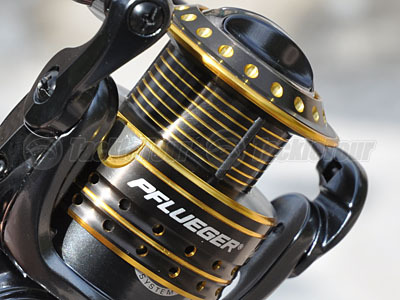 From the looks of things Pflueger is planting their flag in the ground early with these quality offerings, and when it comes to performance and value will the competitors be able to do battle come ICAST?